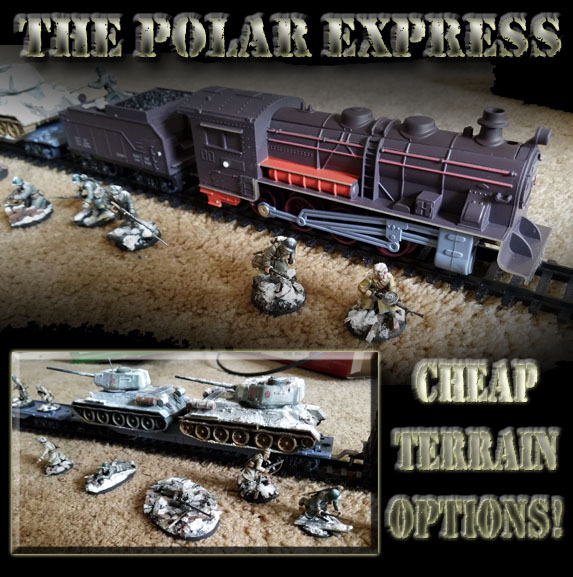 The Polar Express: Cheap Terrain Options! 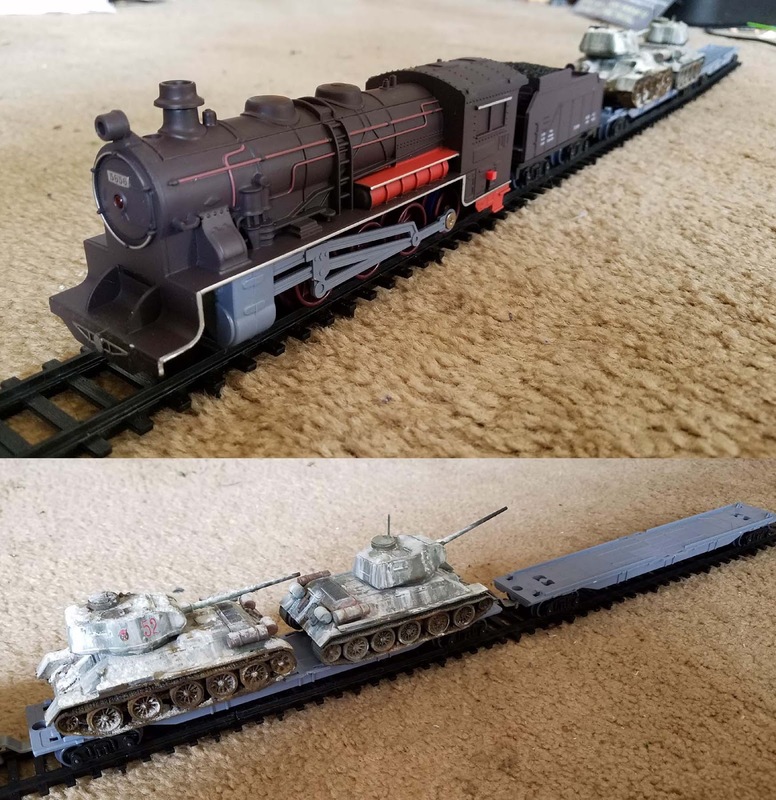 When I saw one of these trains posted to a Bolt Action Facebook page as a potential solution to the problem of finding trains the the right scale that won't bust a budget, I had to look into it for myself! Both Ebay and Amazon yielded results. 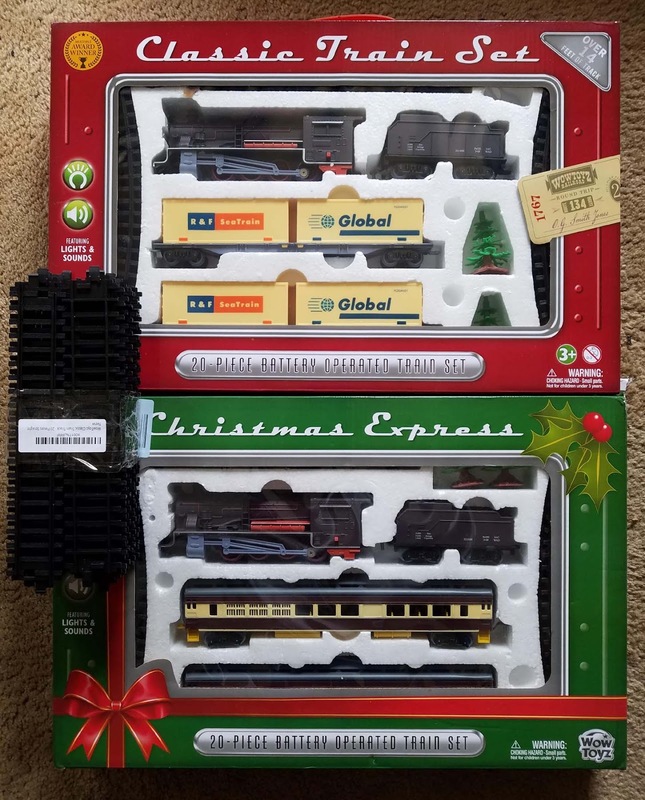 Each of these sets was less than $25 including shipping. That is infinitely less expensive than purchasing "S" scale trains, which are the closest to 28mm. It turns out that there are several more advantages as well!! 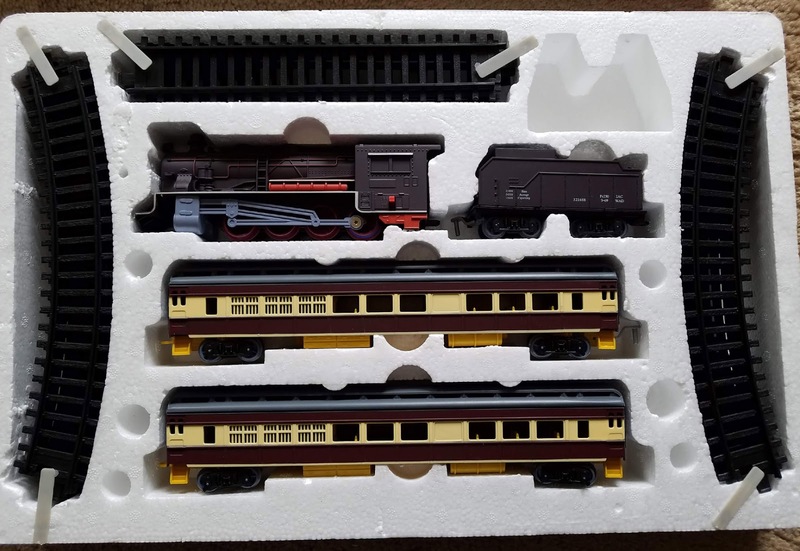 Each set comes with track, which is also less pricey than buying S scale track. 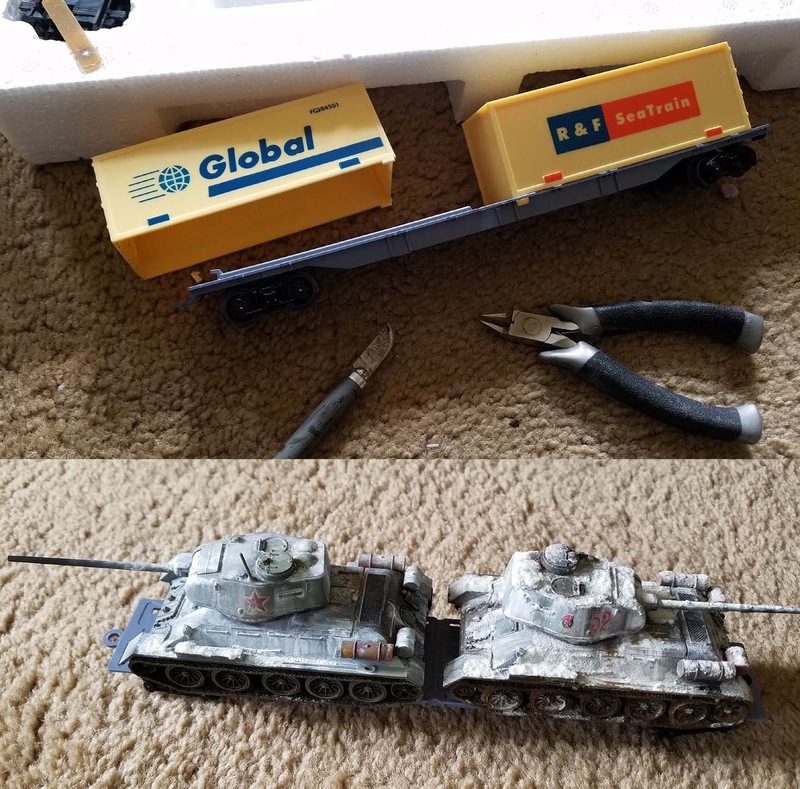 With some weathering powders and other techniques, this should look far more realistic! One issue with S scale American Flyer trains is that they tend to look like 1950's or even '60's. Removing these containers was important to make these more appropriate. It turns out that all you have to do is snip a few tabs, and they come right off. If you still wanted them on the flat car for whatever reason, they could be glued or magnetized back in place. 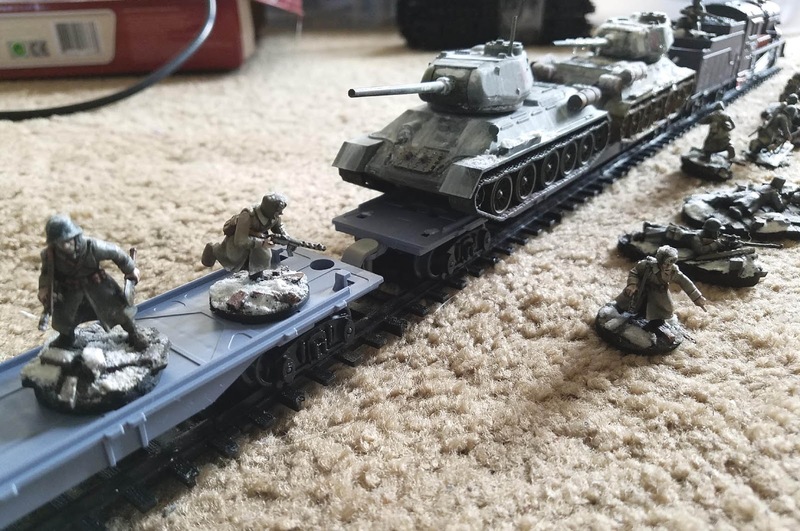 The primary reason I wanted these is for terrain, but also as tank transport. While early war tanks will fit best, it was still possible to fit a pair of T-34's. It takes just a few minutes to get the track pieces together, and hook up some cars to the engine! 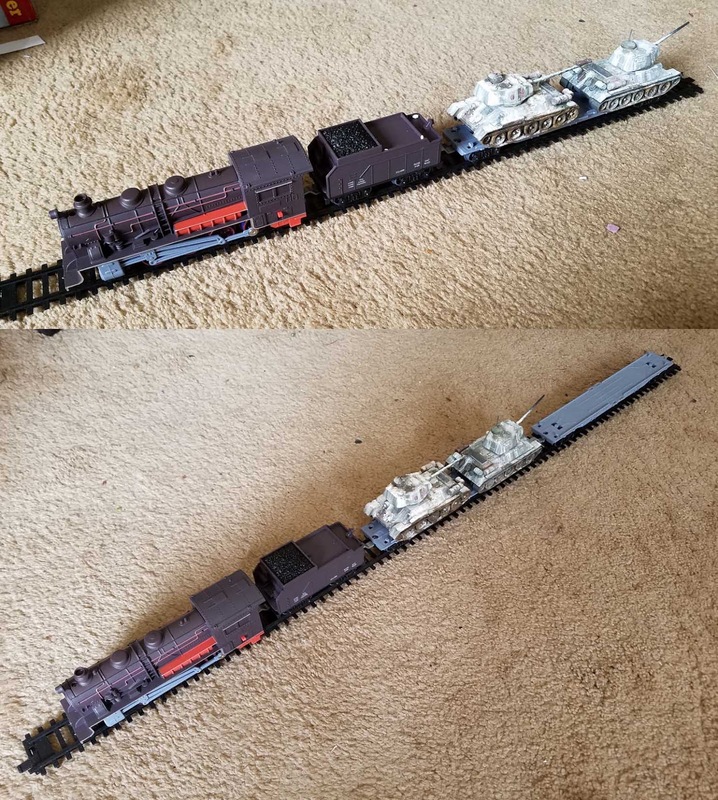 Not a bad little train for less than $25. Once everything is painted and weathered, it should be even better. 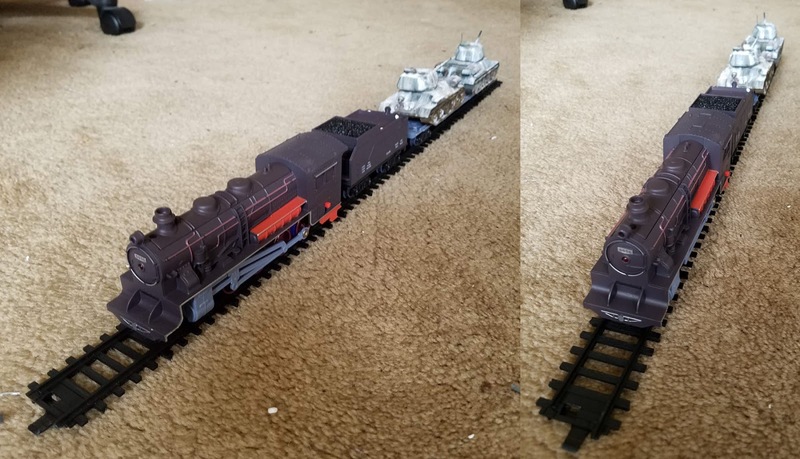 I realize that trains in different countries had a varying appearances, but I am very glad to have these. I think they will add a lot, as fighting over rail heads was very critical in the war. Also, this gives my partisan armies even more possible scenarios! I was very glad that I found separate bundles of straight track links, since you only get 4 of them in the boxes. This is a bundle of 20. I will be hitting these with the Stynlrez primers to make them look more like track. Now for a few scale shots. It would be nice if the train was slightly bigger, but for the price and the mobility, it suits me just fine. 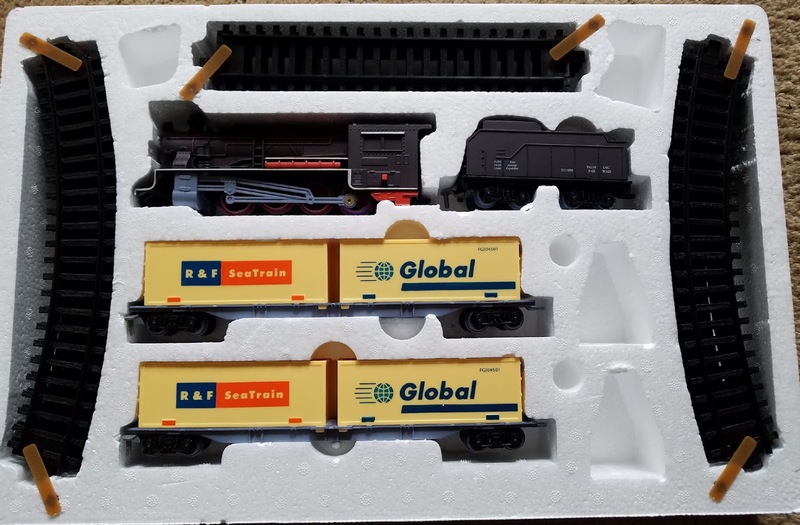 I can actually pack up these trains and bring them with me to a game, which was certainly not a possibility with 'real' model trains. I will even have some containers of ballast with me to make them even more realistic. 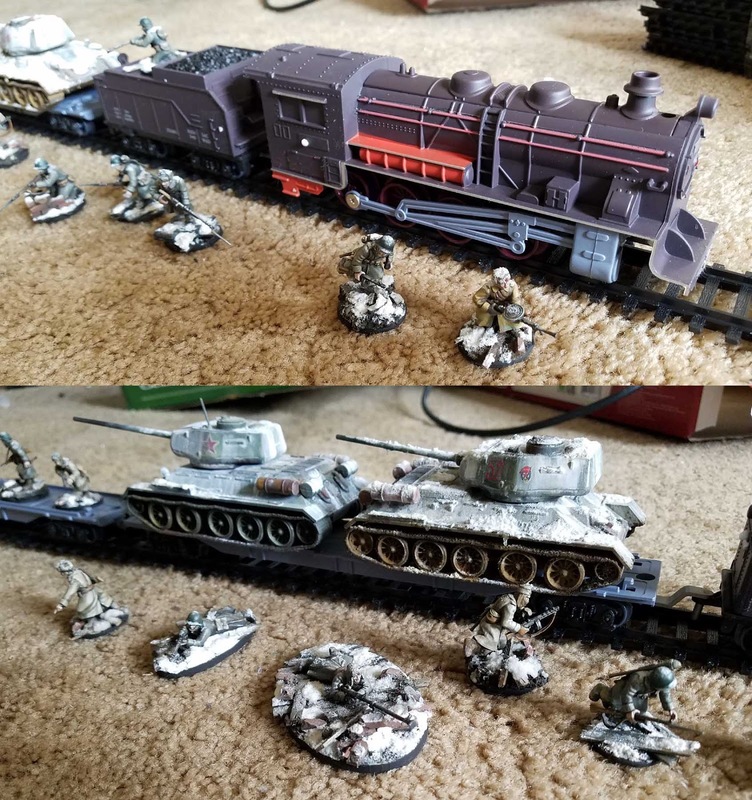 Looking forward to including these in some battle reports soon!! Stay tuned.